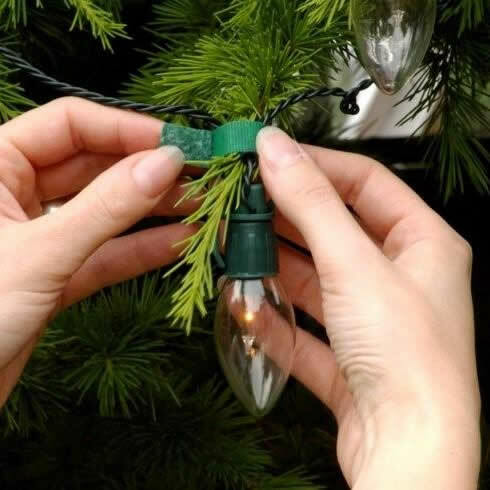 Decorating your home for Christmas may sometimes seem like a big task but there are ways to make your Christmas decorating simple with a great range of little helpers such as Christmas Light Clips. With a wide range of Decoration products, Christmas Storage Bags and useful Christmas Kitchen Gadgets in the Christmas Essentials Range on Caraselle Direct you can whizz through these jobs! But I’m sure I’m not alone when I say that each year I have great indecision when it comes to decorating the house for Christmas. Most people can’t decide when to start, the quickest way to do it, how to make it look good (and different) each year… and don’t even get me started on when to take them all down again! Of course people used to decorate their homes on Christmas Eve, but these days the tradition of 12 days before and 12 days after is still popular with many. This time-honoured tradition goes back to pre-Christian times and although it’s nice to follow the tradition, it also makes us feel excited about forthcoming festivities. Let’s face it, even for those who make a fuss about it but still do it, and whether you enjoy it or not it’s hard to get away from it! For anyone not looking forward to it I can offer some time saving tips on how to decorate your home! Decorating the tree is the obvious decoration to start with – but the way you put away your tree decorations is an important part to making this easy. Don’t just throw your lights and baubles into a carrier bag when taking them down (you know who you are!) – make life easier by untangling lights and boxing your tinsel and baubles separately. Think of a theme and follow it! For example stick to one or two colours. When decorating a tree think about proportion – put larger decorations at the bottom and smaller ones at the top of the tree. The same applies to your other decorations too! Hang Christmas cards down the door and window frames for a quick and easy way to add some colour. Not only is this a cheap way to decorate rooms, it also adds a personal element to your decorations. Children love to get involved in decorating, so encouraging them to make something to put up also makes it personal and they love it! Lights don’t need to be kept to the tree, they look great when twisted around stair railings, over mantel places and door frames. Easily light up the tree with Velcro® Christmas Light Clips, and make the most of indoor plants by decorating them with lights (if big enough) or tinsel, ribbon and bows. 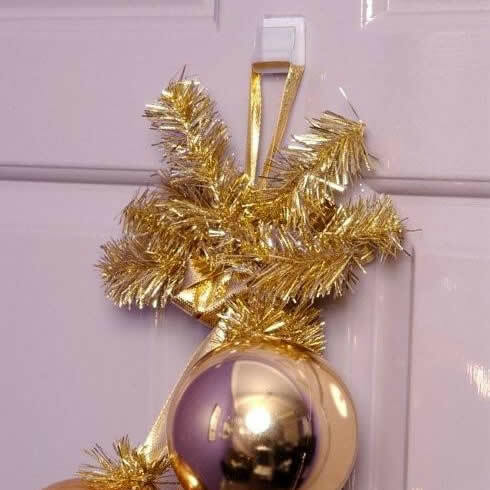 But don’t think that Christmas Light Clips are just for the Christmas Tree… these come in very handy for hanging up other decorations such as children’s handmade Christmas shapes, tinsel etc. Hang small Christmas Stockings around the house and make use of items such as Advent Calendars – especially the pretty wooden variety – to decorate rooms. Tinsel and beads don’t need to be kept to the tree – attach them to banisters and picture frames with Velcro® Christmas Decoration Clips. Cut out Christmas shapes – stars, trees, snowflakes etc. from heavy-weight brightly coloured paper and hang them over tables, in the windows, down the wall etc. Artificial flowers, berries and leaves in big colourful pots will add colour and poinsettias are always a brilliant way to get Christmas colour in a house… they’ll still look great after Christmas too! Once you’ve wrapped your presents – make use of Velcro® Perfect Presents to get this done quickly! – put them under the tree or dotted around the house to make everything seem more Christmassy! Some of the above can be applied to the outside too and of course putting a wreath on the door is a welcome Christmas addition. With outside decorations however make sure you use something weather proof to secure decorations, such as Velcro® Christmas Garland Ties.